Friday, November 9th, 2018 at 11:32am. The game offshore this weekend goes to sailfish, snappers, and gaffers. Sailfish are strong just in time for the Dust ‘Em Off Tournament, with releases in the double digits off of Palm Beach. Kite fishing with live goggle-eyes or blue runners in 100-300’ should entice a few sails. 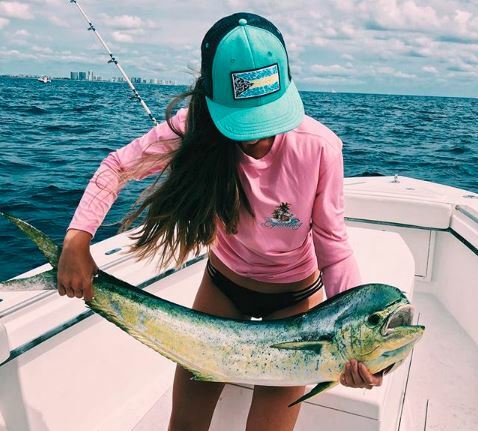 While dolphin schoolies are abundant, a few gaffers have been chasing ballyhoo and bonita strips in the 150-600’ range. Trolling with small feathers during lowlight should help you catch a few football-sized blackfin tuna, and the smaller ones can be used to catch wahoo. If you're thinking of heading to the Bahamas for the first time, read "How to Cross From Florida to the Bahamas By Boat".